Ahmedabad Sports Academy (ASA) is determined to serve Ahmedabad with sports coaching. With a vast experience of 11 years of coaching, ASA have articulated the best coaches in its team to give the profuse coaching to the students. ASA holds its expertise for Table Tennis coaching. 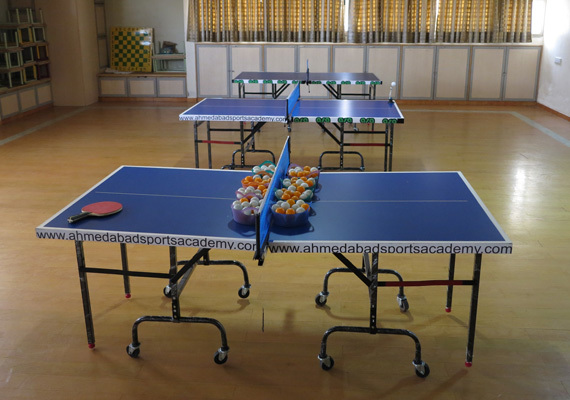 With our dedicated team of coaches we have provided Table Tennis training in more than 35 schools, 10 evening coaching academies and more than 40 Societies as well as home visits till date. ASA have trained and nurtured more than 5,000 players who proved their abilities and talent at different stages of sports at Inter-national, National and district level. Not limiting us with Table Tennis coaching ASA also enhances other sports training like Yoga, soccer, Karate, Basket-ball. To Start with Coaching out team have coaching experience of more than 8 years. We have a team of passionate, dedicated and experienced coaching. AHMEDABAD SPORTS ACADEMY reputation is founded on world-class training, Personalized to the needs of each student. The Academy's specialized programs are a careful balance of technical, tactical, mental and physical training. The Certified and experienced coaching staff is dedicated to the instruction, development, and success of each athlete. ASA has the caring staff and friendly atmosphere combine to make better and healthy training environment.